One year ago this week the Marvel movie, Black Panther was surpassing box office records faster than you can say, “Wakanda Forever”. This weekend it is nominated for seven Academy Awards including Best Picture. But, in addition to it’s well deserved accolades, the movie ignited meaningful dialogue about culture, race and values. I like to think of myself as a student of leadership and… this movie schooled me. Beyond the epic narrative and profound character quotes, Black Panther gives life and voice to a leadership perspective that has much to teach the Western world, especially white privileged men (like myself) who, despite shifting demographics and the known benefits of diversity, continue to hold the vast majority of leadership positions in our society and too often wield their power and privilege only for the benefit of a few. But wait —If you are a white male, don’t get defensive. 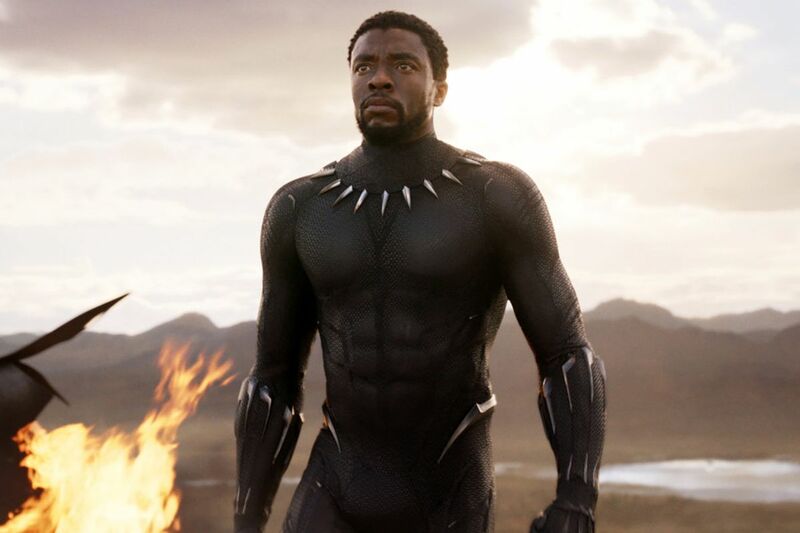 Part of the genius of this movie is that T’Challa, the African superhero, also knows power and privilege and we join his journey to see how community, character and culture shape the kind of leader he becomes. As the story unfolds through the talented writing and direction of Ryan Coogler, we find that a rich backdrop of traditional African culture and values become the context for a new vision of global leadership. Black Panther has many insights to offer, but here are a few that I am pursuing in the hopes of contributing in a small way to a new age of heroic leaders who use their influence for the good of humanity and the planet. In the movie, T’Challa makes decisions with his advisory council of representative leaders from the tribes of Wakanda, giving us a glimpse of how colaborative leadership involves diversity and respect, active listening and constructive conflict. Collaborative leadership involves diversity and respect, active listening and constructive conflict. T’Challa himself is consistently on the front lines with his team — facing the challenges that arise from those decisions. His leadership was rooted in community and an example of the African concept of Ubuntu, often described as “I am because we are.” T’Challa recognized that his leadership role was not for his own gain, but to advance the interests of his country, and ultimately, the world. I remember playing sports as a kid, and in an effort to encourage respect, equality and working together, the coach would say, “There is no ‘i’ in the word team.” In other words, don’t make the mistake of thinking that you can do this alone, or that you are more important than your teammates. Today, many of us are influencers throughout business, government, and the social sector, and the stakes are so much higher than on those soccer or baseball fields. We need leaders like T’Challa, who empower diverse teams and lead with community-based values that serve society as a whole, rather than wielding their bully pulpit for personal, corporate or political gains. As white male leaders, we are often in a unique position to use our power to advance diversity and inclusion, and we must do so for the sake of our communities and country, even when it means stepping aside. Demonstrating immense maturity, T’Challa sought to understand how and why his main opponent, N’Jadaka (Erik Killmonger) had become who he was. In fact, T’Challa refers to him as a “monster of our own making,” recognizing the repercussions of his father’s decision to abandon N’Jadaka. People become who they are in large part due to the forces at work in their lives –many of which are circumstances out of their control. People become who they are in large part due to the forces at work in their lives — many of which are circumstances out of their control. T’Challa grew up with all the benefits of being the son of the King of Wakanda, while his rival (and cousin), N’Jadaka, grew up fatherless in an under-resourced neighborhood of Oakland, California. Rather than demonize him, T’Challa responded to N’Jakada’s humanity, humbly listened, and sought to understand his grievances. Ultimately, when presented with the opportunity to kill him, he chose compassion. Contrast T’Challa with some of the loud and arrogant global leaders we see today who assume that, simply because of their positions, they know all — and know best. These misguided leaders make ignorant sweeping statements that deepen divisions and encourage violence, while the impacts of their irresponsible decisions shred the fabric of our global society. Black Panther presents an alternative picture of how leaders with moral character have the potential to connect, inspire and transform our world. As white male leaders, we have so much to learn — from women, people of color, people from other cultures and countries — that the only posture that makes sense is one of humility. As white male leaders, we have so much to learn — from women, people of color, people from other cultures and countries — that the only posture that makes sense is one of humility. T’Challa’s position on isolation vs. engagement evolves throughout the movie. At the beginning, despite having been exposed to the struggles of the outside world, T’Challa held to the isolationist views of his predecessors. They feared that if Wakanda shared its resources and knowledge, it would lead to harmful access and influence to their country. The best leaders understand that isolation is not a valid option. Promoting a culture of self-interest is not what the world needs. We need leaders who will navigate the complexities of the human tribe and find solutions that are mutually beneficial for all. As white male leaders, we have a unique opportunity to use our power and privilege in service to this greater good. We need leaders who will navigate the complexities of the human tribe and find solutions that are mutually beneficial for all. My leadership journey is far from over, but I’m thankful that my work has taken me to Africa more than 25 times in the last decade. It was there I saw firsthand how community, character and culture shape a commitment to diversity and a globally inclusive society. This weekend, I celebrate the phenomenal box office success and critical acclaim of Black Panther, as well as the long-overdue spotlight on powerful African storytelling and values that will contribute to a new vision for heroic leadership.